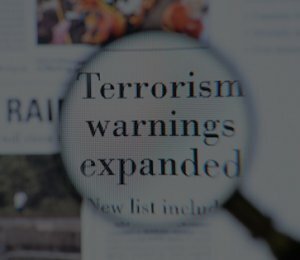 Fiducia have developed, for UK regional brokers, a market leading Terrorism product to assist you in engaging with clients, including those who feel their property and assets may not be vulnerable to an act of Terrorism. The businesses operated by your clients could be varied and include restaurant, hotel, entertainment, retail, manufacturer, distributor, wholesaler, logistics. Our policy is also designed for Commercial and Residential Property Owners, places of worship (including mosques), religious centres, museums and art galleries. Click the image and read about how your clients can incur significant cost despite not being a target of a terror attack and how our cover can be for loss of attraction, denial of access, damage to utilities supply and more.